When testing your app in the Windows Phone 8 Emulator, the developers may want to see how the application behaves specially when the lock screen is launched / triggered. 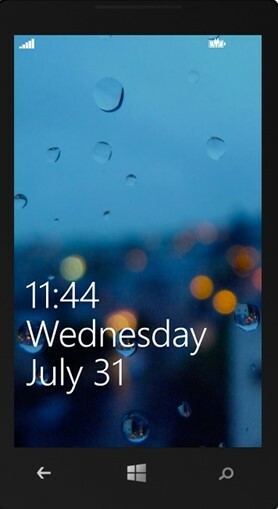 How do you bring up the Lock Screen in the Windows Phone Emulator? 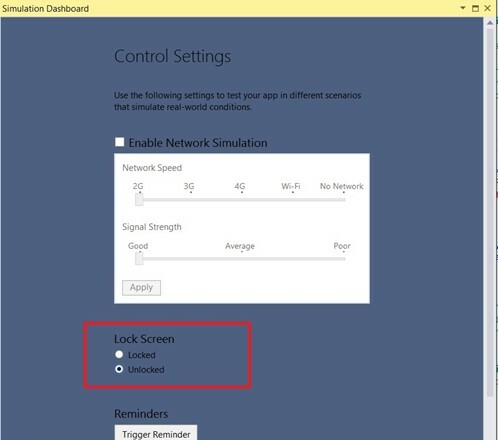 There are 2 ways in which the developers can trigger the lock screen in the Windows Phone 8 Emulator. When the Emulator is running, Press the “F12” key twice. The first F12 key is to turn off the display. The second key press is to turn the display on and in turn brings in the lock screen. When debugging your Windows Phone application, you can use the simulation dashboard as well to launch the Windows Phone emulator . Simulation Dashboard can be launched via Tools -> Simulation Dashboard menu in Visual Studio 2012 or Visual Studio 2013 Preview.